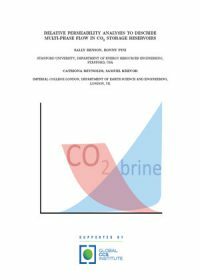 This report, prepared for the Global CCS Institute by a consortium of research organisations led by Stanford University, presents an assessment of fundamental issues pertaining to the relative permeability of brine and carbon dioxide (CO2) systems. This research follows an earlier report published by the Institute in August 2013 which provided an overview of this topic and highlighted knowledge gaps. 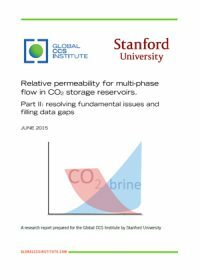 Relative permeability is an important factor in determining the fate and transport of CO2 over the lifetime of a storage project. To date only limited information on this critical factor has been available, much of which is summarised in the 2013 report. This report addresses key gaps in knowledge and data related to CO2 storage in saline formations.